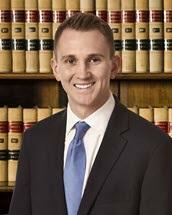 John has been practicing law since 2018, and he concentrates his practice in domestic violence, custody and support. John grew up in Albuquerque, New Mexico, but recently moved to Warren County with his wife and daughter. His father was an attorney, and John was able to see how much his father helped others through his profession. John chose to go to law school so he could one day help others in the same way his father did. As a law student, John worked in the Economic Justice Clinic where he represented clients who were unable to afford an attorney. It was there that John fully began to understand the financial, emotional, and even physical toll that a lawsuit can have on a person. Because of this experience, his goal is to vigorously advocate on behalf of his clients in order to relieve some of the stress and anxiety that each client is sure to have. He has a passion for helping people, and he enjoys helping others navigate the legal system.